As we head into the festive season calendars get busier, the seasonal cold virus pays a visit and life in general can get a little bit more stressful. Vitality is what we need but it is not something that naturally oozes out our pores and with shorter days I find myself wanting to hibernate a little. 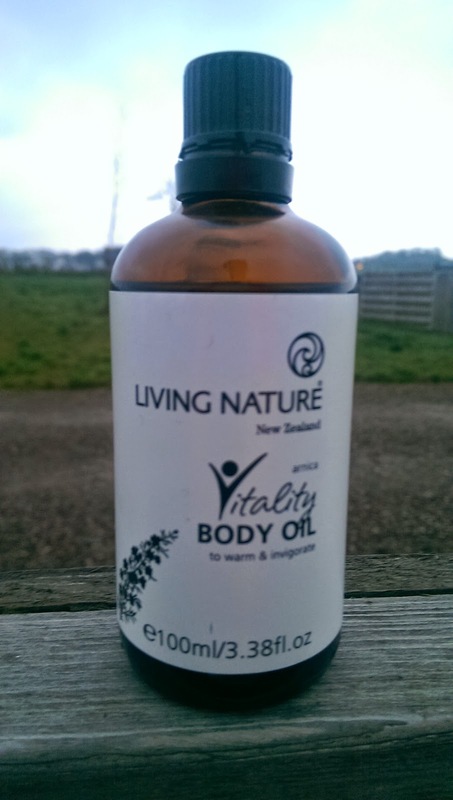 I have long been a fan of body oils and when I read about the Vitality Body Oil by Living Nature I wanted to see if it could provide a little extra zest for me. I have been using a number of Living Nature beauty products with great success including their Thickening Mascara and Clear Lights Tinted Moisturiser, but I was yet to use one of their body products. Living Nature use native New Zealand botanicals to prepare skincare and beauty products that are jam packed with powerful healing, purifying and also nourishing ingredients. Upon opening the bottle I was hit by the aroma that had a distinct and uplifting smell of lemon, peppermint and some juniper. 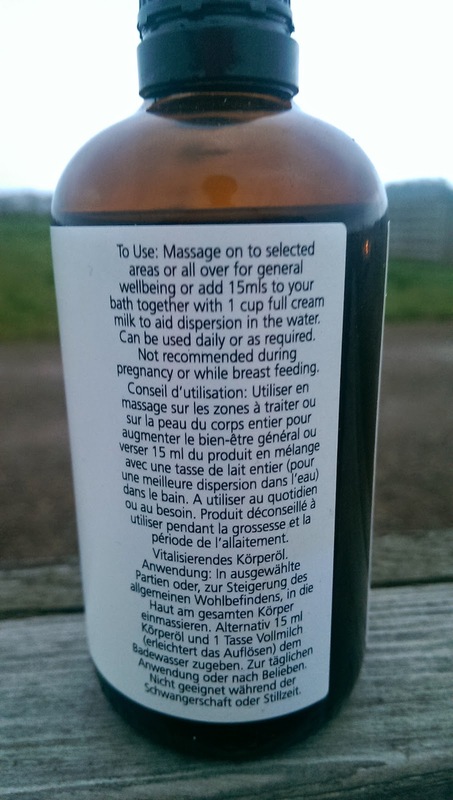 I have found this smell to be really invigorating when I have had a cold and have either applied it directly on the skin as a moisturiser or used it as a wonderfully relaxing bath oil. 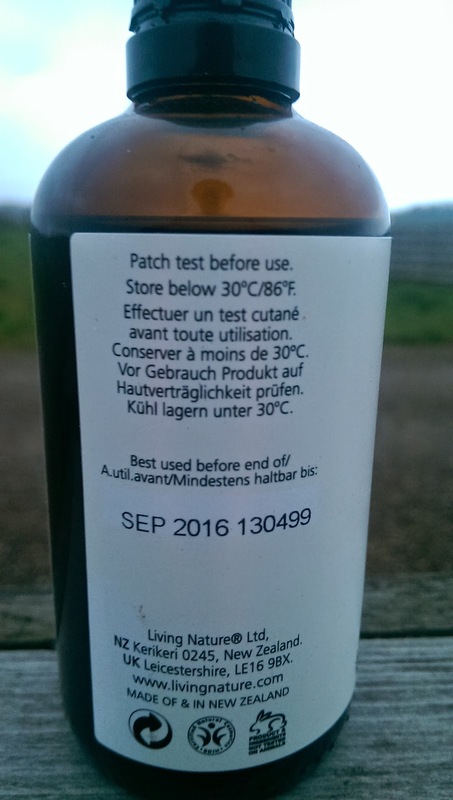 In fact this body oil is extremely flexible. Yes it smells nice but its other ingredients including arnica, almond, wheatgerm, vitamin E and therapeutic kunzea, make this oil nourishing, invigorating, warming on the skin and anti-inflammatory. If you have over exerted yourself at the gym or have been hunched over your PC for too long this oil has such great therapeutic properties. Once you massage it in it really eases any muscular pains. I love doing what I do and like many people who find themselves plonked at a PC for a couple of hours a day I am prone to muscular tension. Hands up if you are there with me!! I often ask (a.k.a demand) that Mr Fifi Friendly use my body oil to massage some of this tension out. Honestly, we have had mixed results and I admit this might have something to do with his masseuse skills as opposed to anything else… (I always like to drop a couple of these in to see if he still reads my posts or not). Purely in the name of research I have put him to the test with this body oil. Officially, even if your masseuse is not so great at the massage part of it, you will definitely feel the benefits of this oil. To conclude, this oil smells refreshing, is 100% invigorating, de-stressing and is free from artificial fragrances and preservatives. It’s scent also lends itself well to being used by both males and females. 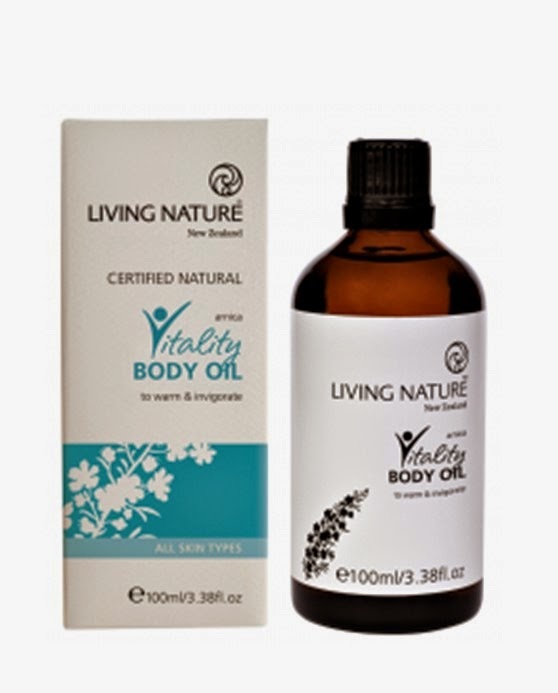 The Vitality Body Oil comes in a 100ml bottle and costs £24 from Living Nature.